We went back and forth on if we were going to update the entire room to accommodate baby or just keep it Winter’s room for a bit longer. We decided we would create a really special space for Winter as the baby will be in our room for many months in the beginning, and while they will share a room one day, we didn’t want to take up precious space in her room if it wasn't going to be used. Plus, we don’t know the gender of the baby so we wanted to wait until we met our next son or daughter before we changed up the aesthetic of the room too much. I know that Winter is approaching a significant transition in her life. When it came down to it, we really wanted Winter to have a peaceful space that she could call hers to retreat to while she adjusts to life as a big sister. We cannot thank Pottery Barn Kids enough for the new items. 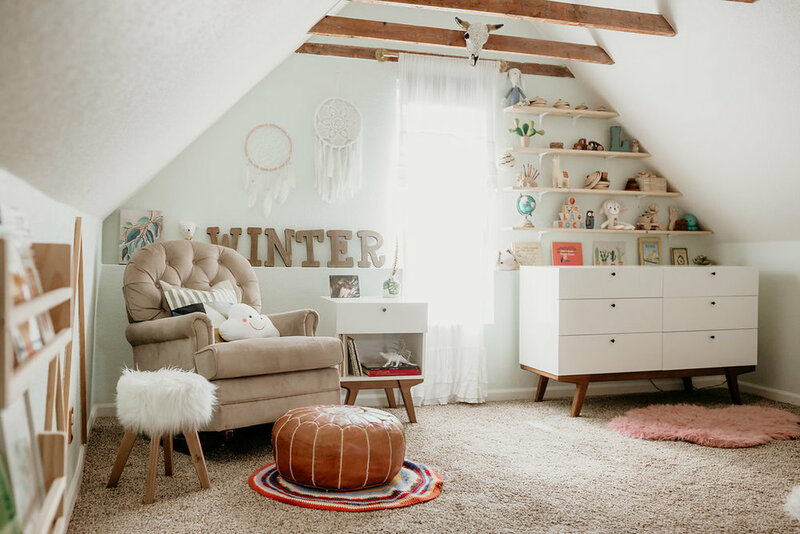 I feel so grateful to have been able to partner with Pottery Barn Kids to refresh sweet Winter’s nursery with the West Elm x Pottery Barn Kids collection. The West Elm X Pottery Barn Kids collection is available at www.potterybarnkids.com/westelm. Shop the 50-plus piece collection in West Elm and Pottery Barn Kids stores nationwide! *This post was sponsored by West Elm x Pottery Barn Kids' collection. As always, all thoughts and opinions are my own.